Today I wanted to show you a cute card using the Animal Outing Stamp Set and the Animal Friends Thinlits Dies. 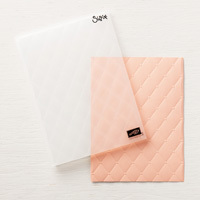 Also used on this card is the new Tufted Dynamic Embossing Folder. 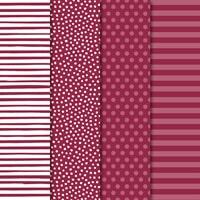 All these items can be purchased through my Stampin' Up! 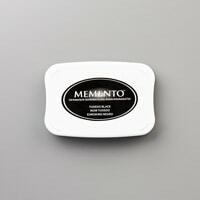 Online Store. Cut a 2” x 5-1/4 strip of Neutrals Designer Series Paper and adhere to the front panel of the card (left side). Set aside. 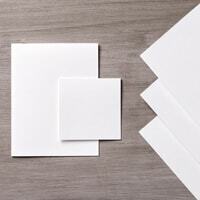 Cut a 3-1/4” x 4-1/4” piece of Whisper White card stock and emboss using the Tufted Dynamic Embossing Folder. Layer this piece onto a 3-1/2” x 4-1/2” piece of Early Espresso card stock. Adhere to the front of the card. Stamp a piece of So Saffron card stock with the giraffe image from the Animal Outing Stamp Set in Tuxedo Black Memento Ink. 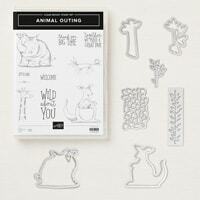 Cut out using the Animal Friends Thinlits Dies. Adhere to the front of the card. Using the spotted piece from the Animal Friends Thinlits Dies, cut out on a piece of Early Espresso card stock. Carefully cut around the piece and adhere over the giraffes. Stamp a piece of Pear Pizzazz with the frog/leaf image and cut out using the branch from the Animal Friends Thinlits Die. Adhere the branch to the top of the embossed piece.